We have in stock the best hand made dog bells available! Assorted sizes, and metal types deliver different tones and loudness. 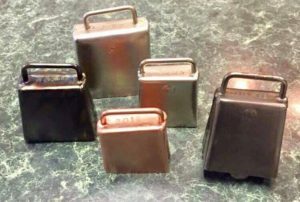 No grouse hunter’s gear box is complete without several good bells! !